Immediately following the close of World War I, the nation experienced a period of prosperity. 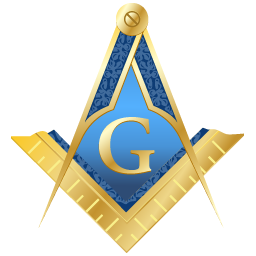 This prosperity made it possible for many men, who were financially unable to do so before, to present their petitions for Masonry and become members of the Craft. Adelphic Lodge No. 509, A.F.& A.M., meeting in its own Temple at 1168 24th Street, in Des Moines, was one of the lodges to experience a rapid growth in membership. Accordingly, the petition completed at the above meeting was presented to the then Most Worshipful Grand Master, Jesse A. West, a member of Capital Lodge No. 110, A.F.& A.M., Des Moines. The petition was recognized and on December 3, 1920, a dispensation was issued for the formation of the new lodge.The next meeting took place on December 13, 1920, in the Halls of Adelphic No. 509, when Most Worhipful Brother West, Grand Master, instituted the petitioners as Acanthus Lodge Under Dispensation. At this meeting there were present fifteen members and five visitors in addition to the Most Worshipful Grand Master. It is of interest to know that the name “Acanthus” is the name of a plant found in the Grecian Islands. It is memorable for the tradition which assigns to it the origin of the foliage carved on the capital of Corinthian and Composite Columns. It is also said that the Acanthus is really the lotus of the Indians and Egyptians, and is symbolic of laborious but effectual effort applied to the support of the world. It was appropriate that the name “Acanthus” be selected for the lodge as its symbolism of “laborious but effectual effort” has been predominate in the progress the lodge has made through its members and the interest of the officers who have directed its destiny. On January 10, 1921, the first stated communication was held. Twenty of the first petitioners were elected to receive the degrees of Symbolic Masonry. This meeting was held on the second Monday of the month, as all stated communications have been held since then. Apparently soon after the first meeting of October 18, 1920, the time of the stated communication was changed from the first to the second Monday night of each month. An outstanding day in the history of the lodge was February 7, 1921. At noon the lodge was opened in due form for the conferring of the first Master Mason degrees. During the afternoon Brothers Edwin D. Nelson, E. Max LeCroy, William E. Thiesen, Harold L. Morris and Al Saylor were each raised to the sublime degree of a Mastor Mason. The Craft were then called from labor to refreshment to repair to the dining room for dinner. Labor was resumed at 8:00 o’clock and Brother Lloyd K. Perry was raised to the sublime degree of a Master Mason. There was an attendance of 91, including several visitors. Many complimented the lodge on the progress it had made and extended their wishes for continued success and prosperity. That the lodge grew and prospered is evidenced by the record of its membership growth. 187 members were reported at the close of 1921. During the depression years from 1929 through 1933, there was a decrease in membership. In 1934 with all Des Moines lodges conforming, the fee was reduced to $50.00. Meetings were held continuously in the hall of Adelphic Lodge No. 509 until 1930. On April 14, 1930, the lodge voted to move to the hall of University Lodge No. 356, I.O.O.F, at 1219 1/2 25th Street at a reduced rental. From April 21, 1930 to February 25, 1935, meetings were held in this hall. Immediately after moving then Worshipful Master Brother Earl M. Sinclair appointed a committee to investigate the possibilities of the lodge locating in the community of Beaverdale in northwest Des Moines. As a result, a building was erected at 2706-2708 Beaver Avenue by Dr. L.H. Chamberlain, with Acanthus Lodge assuming a ten year lease on the entire second floor. The plans for this floor were in accordance with the requirements of the lodge. The rental was $1,200.00 per year for the first five years and $1,500.00 for the second five years with the lodge having the privilege of sub-letting available time to other organizations. It was not until 1935 that the building was completed and the lodge was able to move. On March 4, 1935, the new hall was opened at 3:00 o’clock in the afternoon for a public reception. The facilities were beautifully decorated with gifts of flowers and musical entertaiment provided. Approximately 1,200 persons visited the hall during the remainder of the afternoon and during the evening. The Second World War, creating more employment, brought greater numbers into the Masonic fraternity, beginning with the year 1942. Along with the war came increased costs of maintaining lodge facilities, and providing ceremonies and other functions. Consequently, in 1946 the fee for degrees was restored to $75.00. Because of the influx of new members many meetings were held with the lodge opening as early as three o’clock in the morning. At the conclusion of the lease a rent increase disturbed the lodge. A new lease was signed for an additional period of five years at $1,800.00 per year. Again, a committee was appointed to investigate a location for the possible erection of a Temple owned by the lodge. Later, five lots were purchased on the northeast corner of Forty-second Street and Urbandale Avenue, known as 4133 Urbandale Avenue, in the Beaverdale Community. Because of the rising costs of construction, resulting from the effects of the Second World War, there was little hope of constructing a Temple. The death of our landlord brought a change in ownership of the building at 2706-2708 Beaver Avenue and the lodge was notified that the rental would be $3,600.00 yearly. This notice brought action. Worshipful Brother Walter B. Kyd, Master in 1946, appointed a committee composed of Past Master John Lenz, chairman, and Brothers Walter Selvy, Donald C. Lanham, Glyn Jones and Donald Barton to “formulate ways and means of raising funds for the erection of a new Temple for Acanthus Lodge.” Changes and additions in the committee during the following years included Past Masters Worshipful Brothers Walter B. Kyd, Waldo J. Dean and Donald C. Lanham and Brothers Walter Selvy, Ray Brown, Jack Weaver, John Grubb, Jesse Faber, Paul Dean, John Cooper, Carl Nissly and Robert Henderson. The active committee, appointed by Worshipful Master Brother Everett V. Adams, in 1950, composed of Brothers Jesse Faber and Ray Brown, chairman and co-chairman, Past Masters Worshipful Brothers Waldo J. Dean, Walter B. Kyd and Donald C. Lanham and Brothers Carl Nissly and Robert Henderson, continued a campaign among loyal members for sufficient funds to make a new Temple possible. Gifts and loans toward the project ranged from $5.00 to $2,000.00. A committee composed of Past Master Worshipful Brother Evan B. Lilly, chairman, Past Masters Worshipful Brothers Roy Cushman, Harley D. Rowe, Vernon E. Bidwell, Maurice L. Reed and Brothers Roy L. Daubert and Albert E. Tyler, was appointed in 1949 by Worshipful Master Brother Donald C. Lanham to draw up plans for a Temple. Later, it becoming necessary for Worshipful Brother Lilly to resign from the committee, Brother Roy L. Daubert was appointed chairman. The firm of Smith and Voorhees, Architects, was engaged to assist in the plans. Brother Dighton H. Smith, a member of the firm, was also a member of Acanthus Lodge. $20,000.00 contributed by members together with $27,000.00 in the lodge treasury and the five lots previously purchased made possible the erection of a Masonic Temple by Acanthus Lodge. Worshipful Brother Everett V. Adams and his officers left nothing undone to carry out with the dignity of the fraternity the laying of the corner-stone on the 29th day of July, 1950. An interesting, and for a time disturbing incident, was the disappearance the morning following the corner-stone laying, of the corner-stone box. Fortunately, it was soon located under rubbish in the unfinished basement where it had been placed by vandals. On November 27, 1950, a lodge of Entered Apprentices was opened in the new Temple at 4133 Urbandale Avenue for the purpose of conferring the Entered Apprentice degree. The Temple facilities had not been completed, however with the lack of carpeting and placement of furniture, enough progress had been made in construction to permit holding the meeting. There was an attendance of 125 members and 20 visitors. An open house was held on December 16, 1950, that members and their friends could inspect the new and finely furnished accommodations and facilities of the Temple now owned by Acanthus Lodge and a home they could call their own. Credit can be given to the fine financial status of the lodge through the years beginning with the first Trustees, Brothers J.P.A. Anderson, Albert E. Tyler and William A. Roe who were elected to begin serving in 1922. Future Trustees guarded the finances well forseeing the time when the lodge would want to own a Temple of its own. Within seven years after moving to the new Temple at 4133 Urbandale Avenue, all financial obligations had been satisfied and there was no indebtedness. Since that time, the Temple has been enlarged to provide more and better kitchen facilities and air conditioning installed for the lodge room, dining room, and the lounges. Comfortable meetings can be held during the summer months. Further, the lodge prepares dinner every Monday night, when the lodge is not dark, for on average sixty members. During the history of Acanthus Lodge, many interesting and worthwhile meetings were held. Probably the most outstanding was the meeting of October 4, 1948, arranged by Worshipful Master Brother Harold B. Wandling. The occasion was the conferring of the Master Mason Degree on Brother Oscar W. Limestall, in Illinois ritual, by the Rock Island Railroad Craftsmen Club from Chicago. For the meeting, Des Moines Consistory of the Ancient and Accepted Scottish Rite of Freemasonry granted the use of their large auditorium. Invitations were sent to 225 neighboring lodges and to Masonic employees of the Rock Island Railroad. The attendance, estimated at 1,600 Master Masons, represented 156 Iowa lodges and 70 lodges from 20 other Grand jurisdictions. It is the largest meeting ever held in the State by a single Blue Lodge for the purpose of conferring a Master Mason degree.